Adani aangan affordable housing is newly launch project in sector 88a gurgaon. The motive of Adani aangan provide great and spacious 1, 2 bhk buy home in gurgaon at an affordable price. These apartments have fully-ventilated rooms, bright with the ample of space within each flat. Markedly, this project approved by DTCP and HUDA Affordable housing policy haryana. Adani Aangan gurgaon buy property as an investment or for moving with your family, it is best residential project in dwarka expressway. Especially, it has proximity to Pataudi road and NH 8. Thus, there have a lot of transportation facilities and civics utility are available. 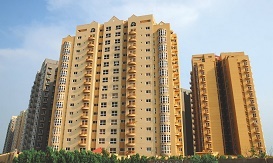 Mahira Sector 68 is the upcoming Affordable housing projects in gurgaon on Sohna road. This project is also close to SPR (Souther pheriperal Road). however, it offers you lovely apartments that are well settled with all the modern features for you to start a luxurious lifestyle. Notably, this buy home in gurgaon project provides 1300 units apartments with size range from 540 to 645 sq.ft. carpet area. Urban 67A is a dream project of Pyramid Infratech Pvt. Ltd. Urban 67A is most special and exclusive project of pyramid Group. 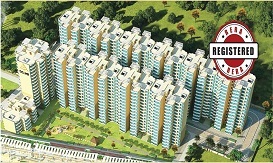 This project is coming in haryana affordable housing scheme. A large area of 9.8 Acres including 1330 number of spacious and excellently developed 2 BHK buy home in gurgaon known as PYRAMID URBAN. Pyramid Sector 67A Gurgaon is a 12 towered building which developed and designed according to modern planning. If you have the interest to buy property at gurgaon, this is a wonderful opportunity to grab a superior private apartment on a pocket friendly budget. Sale price fixed by State Government of Haryana i.e. Rs. 4000/- PSF Carpet Area and Rs. 500/- PSF Balcony Area. Maxworth group brings you matchless leisure in its thoughtfully-designed apartments at Maxworth Affordable Aashray. Especially, Conveniently located at sector 89 on Pataudi road. While the venture brings you easy connectivity, marvelous convenience and a lifestyle that you would usually just dream of. Maxworth Ashray Sector 89 affordable Housing Gurgaon 2016 With elegant habitat for you and your family to grow, Maxworth Aashray huda affordable housing gurugram, haryana offers an array of finest amenities from Wi-Fi enabled the campus to a manicured park and kid’s play zone to the clubhouse. So don’t miss out to buy home in gurgaon on one of the most sought-after affordable housing projects in Gurgaon! Signature Global Sector 37d current affordable housing projects in gurgaon has 2 BHK & 2 BHK+S buy home in gurgaon with state of the art amenities. The planning and design are very thoughtful and considered the comfort. 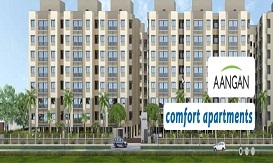 Moreover, convenience at every level is good option to buy home in gurgaon. 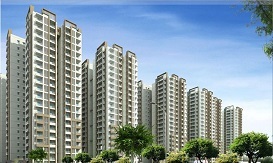 Sector 37d is artistically designed by experienced architects and landscaped designers. Signature Global Sector 37d huda affordable housing scheme in gurgaon Situated in one of the most desirable areas of Gurgaon at sector 37D. Additionally, close proximity to educational, healthcare, entertainment, dinning, leisure destinations and shopping, it offers a lavishly buy home in gurgaon with tasteful lifestyle. Jms Affordable sector 108 near ready to move flats in gurgaon for sale is a quality creation from JMS group at sector 108 close to Dwarka Expressway. 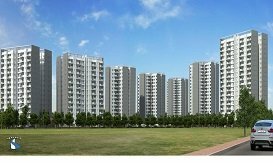 upcoming Affordable housing projects in gurgaon home to exquisitely designed 1, 2 & 3 BHK buy home in gurgaon in the empowering high-rise structure with its curvilinear altitude spread over 5 acres land. Well ventilated apartments equipped with quality fitting & fixtures and every contemporary amenity to make life easy. while the location at 108 offers excellent connectivity. Hence, JMS sector 108 Buy Home In gurgaon affordable housing gurgaon is an absolute package – the idyllic choice for the discerning home seekers. Signature Global Solera Phase 2, another new moderate residential Venture in Sector 107 Gurgaon close Dwarka Expressway propelled by Signature Global. Moreover, this project offers 1BHK, 2BHK and 3BHK Buy Home In gurgaon at great costs. Also, This Project has created in conjunction with the Haryana Government, these private condos satisfies the luxurious and peaceful living. 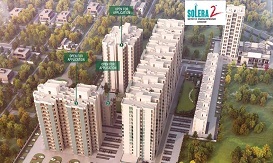 Solera 2 Sector 107 affordable homes in gurgaon have fixed rate apartments. Price fixed by Haryana Government that is Four Thousand Rupees Per Sq.Ft. for Carpet Area for Buy Home In gurgaon. Allotment of moderate apartments finished by DTCP Government of Haryana. While Date of Draw & Result of the project reported by Town and Country Planning Haryana Government.